Always wanted to start your own business? 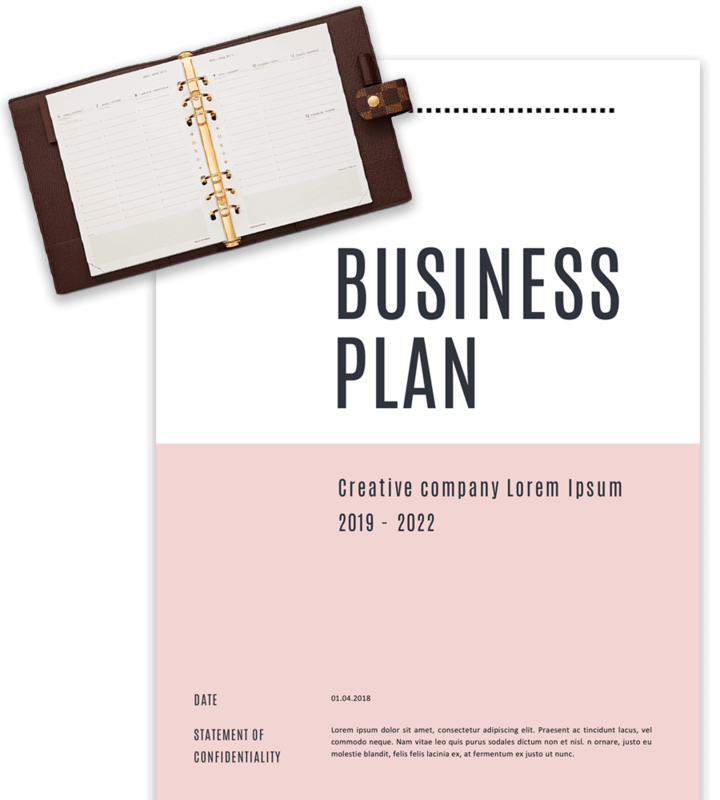 Check out these great business plan templates! You’ve always wanted to start your own business, but how? In order to convince your potential investors to invest a large amount of money in your business idea, it is wisely to set up a well-structured and detailed business plan. “Allright”… you’re thinking. But where to start? And that’s where Temploola.com comes in! Have a look at these lovely designed business plan templates. You can download them free of charge and they are really easy to use. Start writing down your idea as of today! If you are looking for investors to invest in your business idea, your business plan should provide details of how you are planning on developing your business, a timeline, who’s involved and how you will manage the finances. – An executive summary – make sure your executive summary contains all elements of your business idea. Some investors will only read this part of the plan in order to make a decision whether to invest or not. – Vision & mission – Who are you, what do you want to do with your idea, why and for who. Make sure your business goals and key / unique selling points are addressed in this section. – Marketing & sales strategy – who are your customers, what does your market look like? Who are the competitors, are there any market trends? Make sure you have a good idea of who you will be serving with your product or service. – Management team & personnel – doesn’t matter if it’s only you in the beginning, but make sure you write it down. And will you be hiring more people in the future? What kind of skills will you be looking for? – Operations – will you be needing production facilities, what will those look like? Management information systems, IT systems, etc. – Financial forecast – a very important section of your business plan! Have a very close look at the cash flow forecast, profit & loss accounts and the balance sheet. Make sure you will be able to dream these numbers as investors will ask you about it. Find the business plan that’s going to help you with your business idea. They’re ready to use. What should your business plan look like? 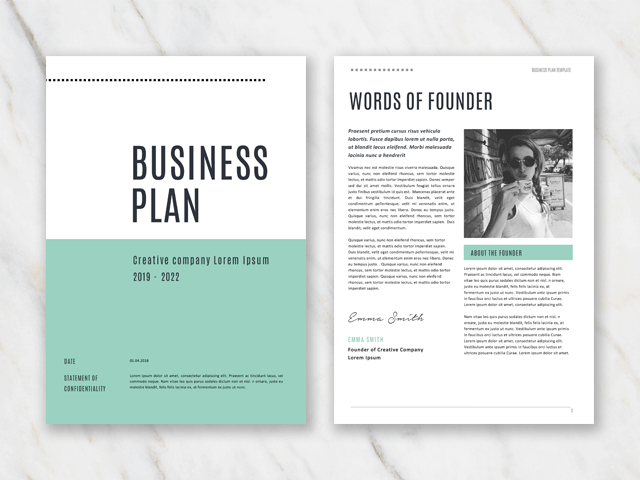 You can download one of the business plan templates for Word right here on Temploola.com. Most of them are a bit more stylish than the ones we are used to. It depends on what kind of product / service you are developing. The most important thing is: make sure the business plan fits your idea and fits you as a person. Don’t go all flashy with colors etc. if it doesn’t suit you or your idea. You should feel comfortable with it when presenting it to potential investors. Chop chop, off you go! Now, enough with the chit chat, off you go! It might seem terrifying to start writing your business plan, but you have to get out there in order to raise money. 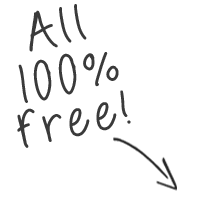 So, download one of the business plan templates offered here at Temploola and start today. I can guarantee you: you won’t be disappointed. And remember this: sometimes less is more. So don’t write things down if they don’t contribute to your story.